← What is fueling the fuel price protests in Bulgaria? Note from the LeftEast editors: this article was first published in Jornal Público, 18 November 2018. It was reprinted by LeftEast with kind permission of the author. For years, the casual workers of the Port of Setúbal have had “regular” jobs. So “regular” that they are forced to pass a power of attorney to administrative employees of the companies who sign a contract of employment for them when needed. Carla Ribeiro is a dockworker at the Port of Setúbal. ” I am a dockworker”, she says. “I have a 5-year-old daughter. I have been working for 9 years with daily contracts. I’ve worked while pregnant until 8 1/2 months. Sometimes I had to call my husband after working from 8:00 a.m. till 5:00 p.m. telling him that I had to stay until 1:00 am – and later call him again to say that I was going to work the night shift until 7:00 am. Now it’s enough! We are involved in this war. We won’t step back”. Carla is part of a pool of 309 casual workers at the Port of Setúbal. 146 of these have been working regularly form some 20 years for the companies Operestiva and Setulset. The remaining work for subcontractors. Setúbal began in Leixões. And it started in August. When this year the Madeira and Leixões dockworkers decided to move from the old corporate unionism and its promiscuity with the stevedore companies and started joining the SEAL – the former Lisbon dockworkers union known for its pugnacity, which became a nationwide union – as retaliation they were put on the shelf by companies, some sweeping the floors. And they saw their wages reduced. In response, since August 13, all regular and casual dockworkers in the country went on a strike refusing to work overtime, causing heavy delays in cargo handling. The bosses of Setúbal didn’t appreciate this solidarity strike and decided to break it by offering contracts (now, after 20 years!) to a few of them – just a couple of days after they had tried to “fire” them. All but two refused to sign these contracts and went into total standstill on November 5, under the motto “Either we all sign or nobody will.” Some VW/Autoeuropa workers (the automotive company most affected by this struggle) publicly supported them – as did the call-centre’s, Lisbon Underground, SOS Handling / Groundforce and several other unions affiliated with CGTP union federation. This and other pearls typical of the “wild west” labour relations in Portugal have been repeatedly communicated to the Minister of the Sea and ACT. They were never answered. In the Parliamentary Committees for Labour and Social Security and Agriculture and the Sea, these issues have been dragging on, while BE and PCP raise the issues, but one never knows whether they are acting as part of the “Geringonça”or as opposition. This is all in vain – unless the law of the ports is changed and a collective bargaining agreement for the dockworkers is negotiated, the conflict will last. With serious impact for the dockworkers, but also for thousands of companies in the country, who lose millions, while profits go the few concessionaires of the Ports. At last the country seemed to get an interest in this issue. Not for Carla and her family, or for these men with their lives depending on daily contracts, but for the VW / Autoeuropa cars that pile up waiting to be exported. The anxiety of the Minister of the Sea is not due to the destroyed lives of these dockworkers, but to the calls of the Autoeuropa shareholders. I have a particular scientific interest in this stoppage (in fact, it is not a formal strike, because casual dockworkers are recruited on a daily basis and do not have their right to work protected – but neither do they have an obligation to work) because I have maintained in many books that it is now much easier for workers to organize themselves than it was 30 years ago. This statement is always surprising to some, since traditional unions insist on the myth that if they do not fight, it is because unionized workers are few and fragile. The paralysis of the Port of Setúbal confirms my thesis. The just in time model forces companies to have reduced stocks. Relocation of companies is a permanent threat, but at the same time today a small sector can stop an entire production chain. Globalization means dumping, but also dependence. 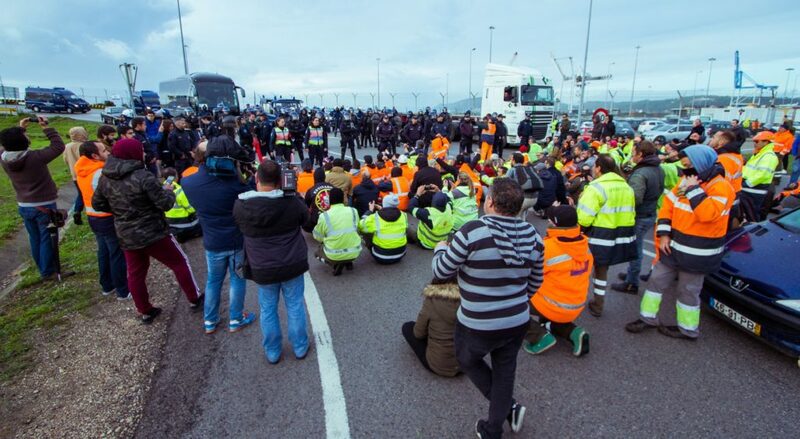 The stoppage of the Setúbal dockworkers can stop the biggest factory in Portugal and the dockworkers from Sweden or Santos in Brazil can also stop and this will have immediate effects in Lisbon or Barcelona. The weakest link of globalization may be the workers. And they have been. But it can also be the companies, whose profits are based on low wages guaranteed by the fear of losing job. In this field it is important to remember that strikes are tugs-of-war that demand accountability to society. Thus, trade unionism must be de facto democratic, independent of any government and internationalist – otherwise it will always face its own limits and fail to represent the interests of large sections of the population. Companies pay the minimum wage or little more, but the taxes of the qualified sectors pay for the social assistance to which the poor today, even when they work, are forced to resort: social unemployment subsidy, reduced electricity rate … Every day the poor have to prove their poverty and accept reaching out to the state. Thus, we would have 47% of poor people without social transfers and with them we have 18%. While the welfare state is universal, transfers are focused – they help to perpetuate poverty, even if in the short term they alleviate it. The other problem of Portugal, and of the world, is the pyramidal model of companies that concentrates profits in a parent company where they have few workers while concentrating workers in subsidiary companies where there are no profits. This model has created orgies of profits and social inequality, leaving SMEs asphyxiated and workers exhausted. In the case of the Ports, we should have asked ourselves a long time ago: why are they not public, being strategic, and we put an end to this Calvary of brutal work in benefit of a few intermediaries? On 17 November, the SEAL met in a national assembly to respond to the conflict in the Port of Setúbal and there was a unanimous vote for the possibility of affiliation of casual workers of this Port, in order to contribute to the dignity of their subsistence. Solidarity is not letters that the wind carries, but tangible actions. Societies have to produce well. It is important to work well. But you have to ask yourself how, who, for whom and what is produced. A dockworker, Duarte Vitorino, from the Azores islands, with a regular contract, is in solidarity with Carla. He earns 850 euros, of which he deducts 4% for the union. Working extra hours he reaches 1200 or 1300 euros monthly. He told me in an interview: “I live with 500 euros less since we are on strike to extra work, we make an effort, my wife is anxious, but I don’t care, it’s for the benefit of all … Besides, now I can see my son every day (he smiles). I can survive without extra hours for a year!” In this struggle he and his own have developed a sense of cooperation, justice, and courage. A feeling that dehumanized work, where a VW car seems to be more important than them, cannot give him. 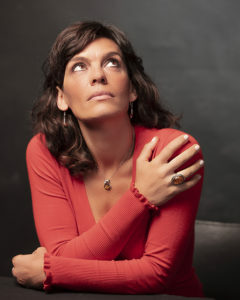 Raquel Varela is a historian, researcher and university professor. Her main areas of interest are global labour history, history of labour relations, and contemporary history of Portugal. New University of Lisbon / Fellow of the International Institute for Social History (Amsterdam). International visiting professor at the Fluminense Federal University,Brazil. where she teaches a chair in the area of ​​global work history in the postgraduate program in History. Important port in Northern Portugal. Portugal’s equivalent of the British HSE (Health and Safety Executive). BE (Left Block) and PCP (Portuguese Communist Party). Literally “contraption” – the nickname of the alliance that supports the minority Socialist Party Government in Parliament.